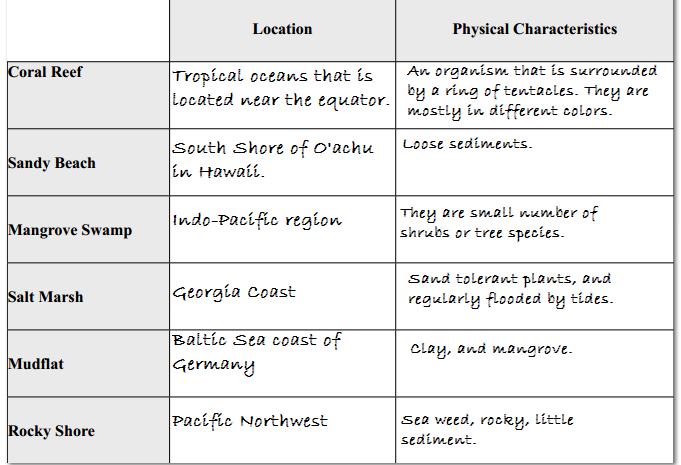 Aquatic Ecosystem- Study Guide! - AP Environmental Science! Understand and be able to apply each of these terms. 1. Salinity –The saltiness or dissolved salt content of a body of water or in soil. water (usually oceans or lakes) able to move independently of water currents. 4. Benthos –The community of organisms which live on, in, or near the seabed, also known as the benthic zone. 5. Littoral Zone –Part of a sea, lake or river that is close to the shore. 6. Benthic Zone – Ecological region at the lowest level of a body of water such as an ocean or a lake, including the sediment surface and some sub surface layers. 7. Eutrophication –Ecosystem response to the addition of artificial or natural substances, such as nitrates and phosphates, through fertilizers or sewage, to an aquatic system. 8/9. River Source/Course –Term upriver refers to the direction leading to the source of the river, which is against the direction of flow. Likewise, term downriver describes the direction towards the mouth of the river, in which the current flows. 10..River Mouth – Stream mouth, is a part of a stream where it flows into another stream, river, lake, reservoir, sea, or ocean. 11.Marsh –Type of wetland that is dominated by herbaceous rather than woody plant species. 12. Swamp –Wetland that is forested. 13.Bog –Wetland that accumulates peat, a deposit of dead plant material. 14. Lagoon- Shallow body of water separated from a larger bod of water by barrier islands or reefs. 15. Estuary –Form a transition zone between river environments and ocean environments and are subject to both marine influences, such as tides, waves, and the influx of saline water; and riverine influences, such as flows of fresh water and sediment. 16. Abundance –An extremely plentiful or over sufficient quantity or supply. 17. Diversity –Condition of having or being composed of differing elements. 18. Watershed -Carries water shed from the land after rain falls and snow melts. 19. Hydrophytes- Aquatic plants that have adapted to living in aquatic environments. These plants require special adaptations for living submerged in water or at the water's surface. 1. What are the three important benefits (ecosystem service) provided by wetlands? The three important benefits are flood control, groundwater replenishment, and shoreline stabilization and storm protection. 2. What causes high and low tides? Explain. The High tides and low tides are both caused by the moons gravitational pull on the Earth. 3. Where would you find an estuary? What type of organisms would you expect to find there? The estuary is located in the lagoons. Type's of organisms will be expected to be found are bacteria, and photosynthetic organism. 4. What is the definition of “freshwater”? Freshwater is water lacking a big amount of salt. washed downstream. Name 3 problems are caused by “murkiness”? The three problem that caused by murkiness are the decreasing amount of light, less light, less diversity of flora, and fish require less oxygen that can be found. 6. Name 2 types of fish that can live in low oxygen environments: Beta Fish, and Teleosti. 7. Explain why reefs are so important to preserve. What are some of the dangers to coral reefs? Name 2. Reefs are important to preserve, because it supports human needs (such as medicine) and gives fish irreplaceable sources of food and shelter. Some dangers to coral reefs are anchoring and mass bleaching. a. Fringing Reefs: A coral reef that lies close to the shore. b. Barrier Reefs: A coral reef running parallel to the shore but separated from it by a channel of deep water. c. Atolls: A ring-shaped reef, island, or chain of islands formed of coral. a. Intertidal: of or denoting the area of a seashore that is covered at high tide and uncovered at low tide. b. Pelagic: of or relating to the open sea. c. Abyssal: relating to or denoting the depths or bed of the ocean, esp. between about 10,000 and 20,000 feet (3,000 and 6,000 m) down. 10. What is “winterkill” in a lake? What happens? The winterkilla in a lake is when the lake starts to frozen up leaves with a thick layer of snow that reduces oxygen in the lake. aphotic. Where does the initial energy input for each come from? The differences between euphotic and aphotic is that euphotic is in the upper layer of the lake and in that layer it recieve more light. But in aphotic is in the bottow layer which receive less light. b. Limnetic Zone: is the well-lit, open surface waters in a lake, away from the shore. The vegetation of the littoral zone surrounds this expanse of open water and it is above the profundal zone. c. Profundal Zone: a deep zone of an inland body of freestanding water, such as a lake or pond, located below the range of effective light penetration.